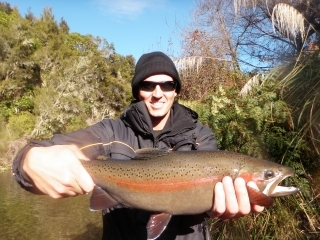 Anglers on all rivers are enjoying high water conditions which has kept the fishing trickling through most days. With high water conditions and the odd bit of wind this perfect weather for trout to keep running up for spawning which is giving anglers which know where to look for them fantastic angling. 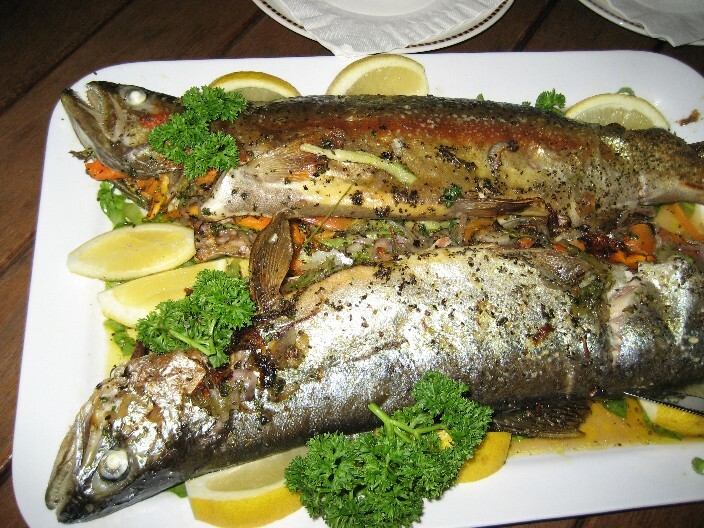 We should be able to enjoy having this amount of trout in the rivers for a few months yet as I believe the largest of runs in rivers such as the Tongariro is still to come. If you are not getting into good numbers of fish most days get yourselfÂ a guide to show you where you are going wrong as there are plenty of fish there for all anglers to be heading home with positive opinions of this years runs. I was working in the sport store the other day and had angler from Turangi come in which had caught 14 fish the day before which most anglers would be still be buzzing from. I had a conversation with this guy for nearly ten minutes and had not herd so much crap in all my life as he had nothing positive to say and looks at 14 fish in a day to be hard going-glad I weren’t guiding him. Another client and good friend of mine popped into say hello and explained to me how he had just had the best days trout fishing he had ever experienced. 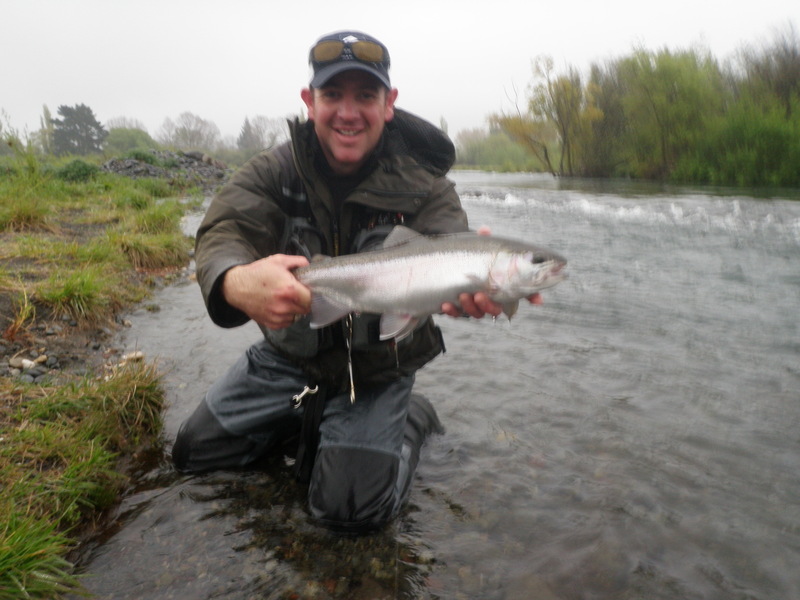 Paul had landed 10 fish from the Tongariro from various pool using the methods which has he learnt and can do over the past couple of years and continued to rave on about how lucky we were to have such a river that we could access as kiwis. These sort of comments make me smile and realize we are a lucky bunch but also made me worry what made the other guy so twisted and messed in the head not to have a good day fishing? surely things could be worse????!!! Anyways, we are all different but the fishery is what is and in bloody good condition at the momentÂ ,hope for the other guys sake it doesn’t get any worse. The Tongariro has been very good in the past week following the flood it experienced last weekend and most anglers are catching fish in most pools using simple glo bug fished under some weight. Silver fish are not just in the lower sections but have run through quite quickly to the upper pools and are now fairly well spread out. With so much pressure in the lower river it is a wise decision if you enjoy walking to get up as high as you can to have pools almost to yourself. Quite often if you time it right some of the best pools on the river can be empty and I love getting into the Major Jones or Breakfast pool and slowly work my through at my own pace-bliss! Angling pressure is fairly low during the week but will get a bit crazy going into a weekend but likeÂ I have said keep moving and you will find fish everywhere. The Hine again has been very good andÂ I have not fished here for sometime and not got fish in most pools. I am actually starting to feel bad about fishing here as sometimes it’s too easy. This river is also holding some water and at times can be hard wading so go easy and stay on your feet at all times,they’re only fish and we don’t want to read about you for the wrong reasons. 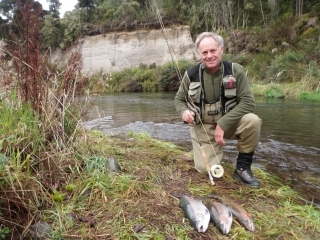 Again high conditions means trout are resting between pools and you will catch high numbers of fish by fishing the edges and not the main runs. Glo bugs are on the menu in here all day with the best colour being bright orange fished below plenty of weight for the extra water. Those who don’t like casting weight LEARN, if you are fishing to light you are cheating yourself out of a good day. I don’t particularly enjoy casting weighted nymphs or split shot but when water is high in Taupo and fish are on the bottom I don’t think you have much of a choice. We got some pretty strong westerly wind a few nights ago so IÂ think the Waitahanui will be worthÂ a look as this should have pushed a good group into the middle reaches. Angling pressure in here can be very quiet at times and you should have the river to yourself during the week. 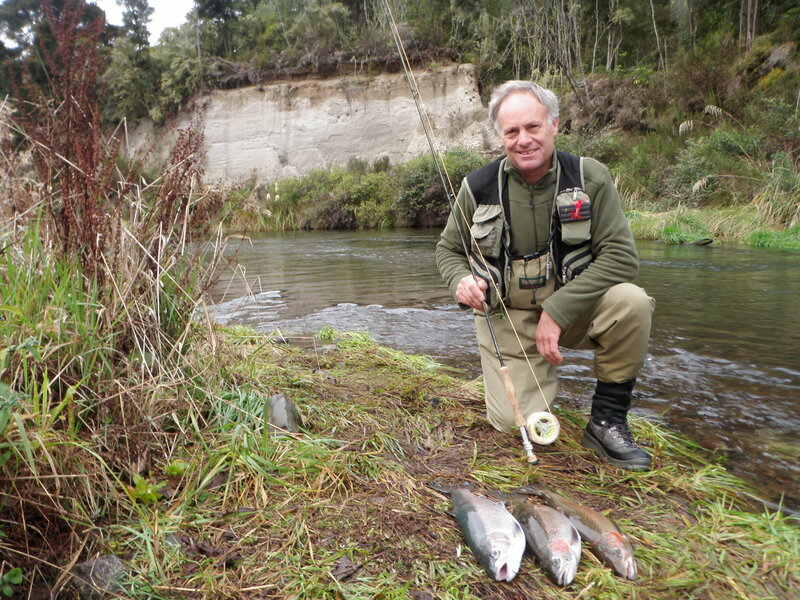 Again this river has many small runs or deep pools so it’s importnt to fish those flies deep and in the right lies using split shot or weight in those flies. Again another good weekend for fishing is ahead so try and get your plans sorted and rush up and book yourself into TRM as not to be disappointed. Read and gather all the info you can and get yourself some red bull energy drinks and move about the river as much as you can so you do find fish and you do go home with positive vibes.